Engine : 460 bored 30 over, Edelbrock performer intake, Holley Truck avenger carb. Accel distributor and coil, MSD Ignition and wires. 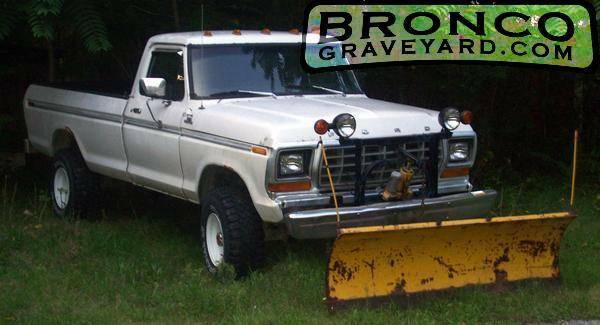 73 drivetrain Highboy, 79 Front Clip The plow has been sold. Future plans include power disc brakes all the way around. 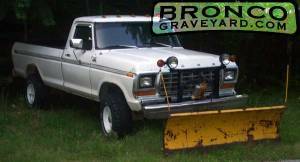 I just bought a 79 Snowfighter front axle and rear disc conversion kit. New paint and trim. Blue and white, maybe? This is a hot truck! I can't wait to see what it looks like when it's finished!